In the 1950s, Henri Dussarat – a clog maker in Ance in Barétous Valley – decided to make cheese. His idea was to collect milk from the shepherds himself and to showcase cheesemaking tradition from the valleys of Béarn and the Basque Country. In 1998, the family company decided to establish its own structure in order to preserve its independence and universally acknowledged cheesemaking expertise. Henri Dussarat’s daughter Martine Lembeye, aided by cheesemakers and milk producers, therefore launched an ambitious project… And the Fromagerie du Pays d’Aramits cheese dairy was born! The cheese dairy aims to preserve local production rooted in the heritage of the Barétous valley via a high-quality artisan product sold at a fair price. 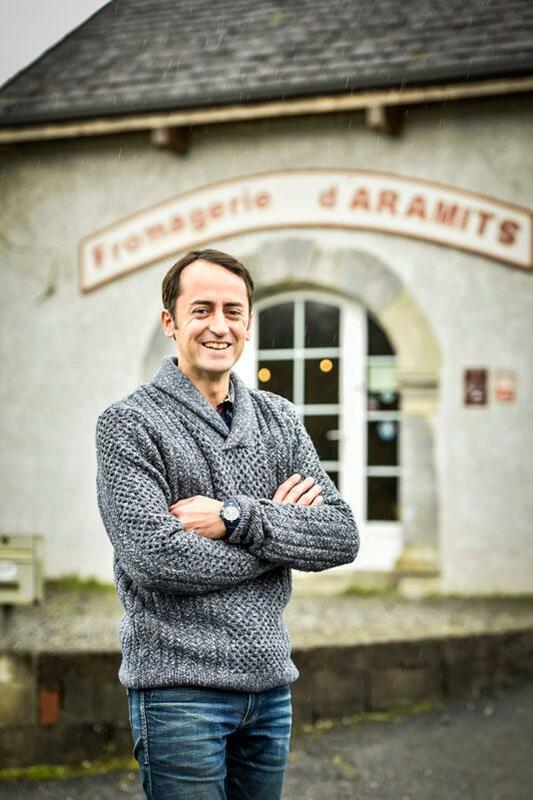 Martine’s son Sébastien Lembeye joined the cheese dairy in 2006 to focus on cheese marketing, continuing the tradition of Barétous cheesemaking down the generations. The Fromagerie du Pays d’Aramits – a top-quality artisan! This cheese dairy has established various commitments in order to produce the best possible cheeses. For animals: Providing healthy nutrition (no fermented or GM foods) primarily via the provision of dry hay and fresh pasture. For the environment: Preserving the mountain environment. Shepherds only rear ewes from the local Basco-Béarnaise and Manech breeds, rooted in the valley’s pastoral tradition. For customers: To keep the cheese dairy on a human scale. For three generations and over 60 years, the cheese dairy has treasured the recipe for producing this delicious cheese in a modern workshop perfectly meeting current standards. The Fromagerie du Pays d’Aramits offers natural cheese. This cheese dairy does not use any preservatives, colourings or added flavourings. They guarantee that there will be no plastic in the rind, which is natural and rubbed with salt by hand. They rely on expertise in milk quality, the land, the recipe and the passing of time.